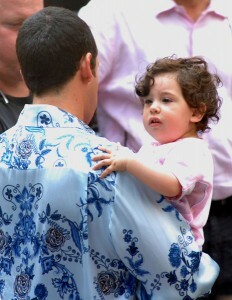 Sadie Sandler visits dad Adam on the set of his new movie “You Don’t Mess with the Zohan”. She is a SPITTING image of her dad! Isn’t that smile great?